Did you know that the air inside your home could be 2 to 5 times more polluted than the air outside? Even the cleanest homes are susceptible to a buildup of pollutants that settle in your air ducts, air conditioner, and heating equipment. The average person spends a majority of their time in their home and failing to address the quality of the air can lead to variety of mild to serious ailments, including asthma, allergies, and an increased risk of cancer. 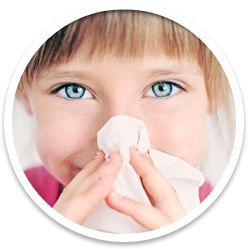 Poor indoor air quality is particularly hazardous to children and the elderly. There are a wide variety of pollutants that contribute to poor indoor air quality. Chemicals found in paint, hair spray, household cleaners, and aerosol spray products can emit thousands of volatile organic compounds and particles into the air, which are proven to contribute to a wide range of health problems. Moisture in your walls and air ducts can lead to mold, which releases hazardous spores linked to cancer and respiratory illnesses. Furthermore, allowing pet hair and dander, dust, smoke, or other airborne particulates to build up can make a huge impact on the quality of the air in your home. What Can I Do to Improve My Indoor Air Quality? Routine maintenance on your air ducts, heating system, and air conditioner typically includes general cleaning and replacing of air filters, which can make a drastic impact on reducing indoor air pollutants. Whole-home air cleaners are effective at cleaning large amounts airborne pollutants, removing mold spores, pollen, dust, hair, and volatile compounds found in household chemicals. 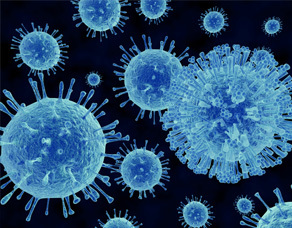 UV cleaning systems utilize ultraviolet light to kill and inactivate microorganisms, such as bacteria, viruses, mold, and pathogens. These cutting-edge cleaning systems can be integrated into your home heating and cooling system to vastly improve your indoor air quality. To get a comprehensive assessment of the air quality in your home, or to develop a customized plan for taking control of what you breathe, contact Hi-Tech Heating & Cooling today to schedule a free in-home consultation. Is the Air in Your Home Making You Sick? Poor indoor air quality is the leading cause of asthma, allergies, and other respiratory issues. We can help. The contents of this webpage are Copyright © 2019 Hi-Tech Heating & Cooling. All Rights Reserved.